The excitement is building for the wedding of the season, as Prince Harry and Meghan Markle prepare to say their ‘I Do’s’. All eyes will be on Windsor on Saturday 19th May, with family gatherings and tea parties across the country and around the globe to watch the day unfold. We are suggesting the perfect way to celebrate the Royal Wedding, with a traditional English Cream Tea but with an American twist! A well-loved British tradition, afternoon tea is a daily ritual for the Queen and dates back to the Victorian era. Usually celebrated between 3pm and 5pm, why not celebrate the Royal Wedding with a quirky twist on the usual jam and clotted cream pairing, with a nod to the American royal bride-to-be. Taking the well-loved American peanut butter and jelly sandwich and giving it an afternoon tea style makeover, our hand-made and freshly baked Traditional Plain and Fruit Scone recipes are well-loved favourites and work perfectly as a base to the P&B pairing. Using Cornish butter and butter milk from Rodda’s and Trewithen Dairies and Cornish Sea Salt in their Salted Caramel scones, the bakery is proud to support many other Cornish brands. Handmade in Cornwall, Freda’s Peanut Butter with Cornish Sea Salt compliments Boddington’s Berries Strawberry Jam for a tasty topping. “What a lovely treat to celebrate the Royal wedding. A Warren’s Bakery Traditional Scone with Freda’s Cornish Sea Salt Peanut Butter and Boddingtons Jam. Like the Royal couple, some things are just made for each other.” Lisa Newsham, Founder of Freda’s. Established in 1860, we have a rich heritage where hard work and dedication over the years has seen us receive a long list of accolades. Most recently we were finalists in the prestigious Craft Business Award in the Baking Industry Awards 2015 and 2017 and they have also won a haul of awards at the 2016 British Pie Awards and World Pasty Championships where we were noted for having ‘the best pasty on the high street.’ Being the ‘oldest bakery in Cornwall’, we place a firm focus on provenance, hand crafted skill and innovation. 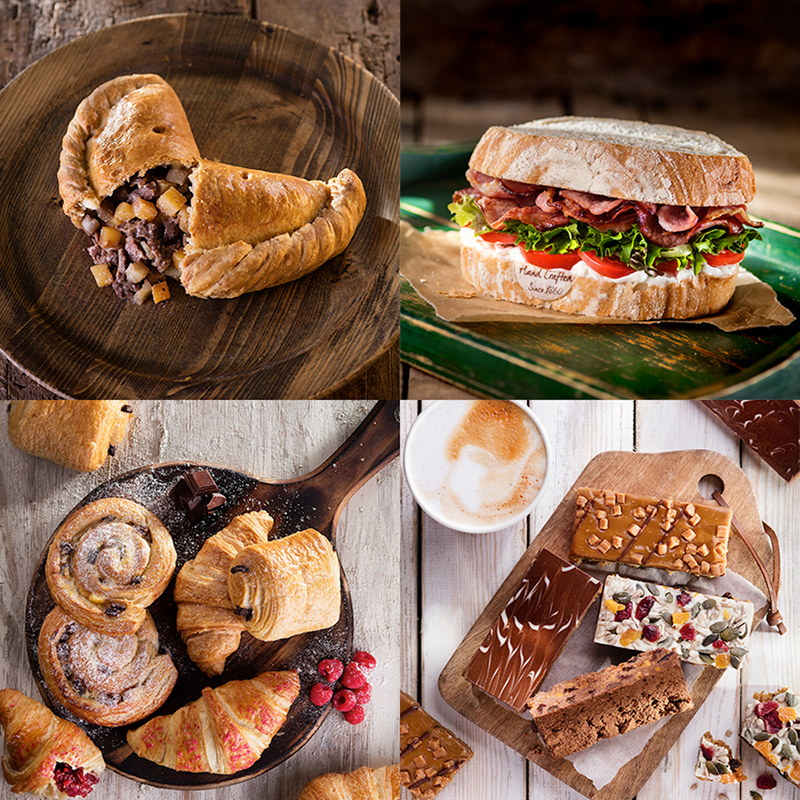 Set to open 750 stores across the next five years and as one of the UK’s top three British craft bakeries, we now have over 60 stores throughout Cornwall, Devon, Somerset, Manchester, the Midlands, Hampshire, Oxfordshire, Essex, London and now Sussex.